I was reluctant to pick up this book. Even though it was part of Modern Mrs. Darcy's Minimalist Reading Guide, I hesitated. But I'm so glad I read it. 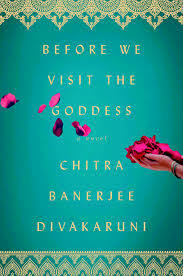 It's a beautiful tale of multi-generational women who uncover their loving bond through revealing their inner selves. I'm not doing a good job of explaining this, but, it's a lovely book that explores relationships and expectations that mothers, daughters, and granddaughters have of each other. The writing is lyrical, there were several sentences I re-read because of their beauty and simplicity.